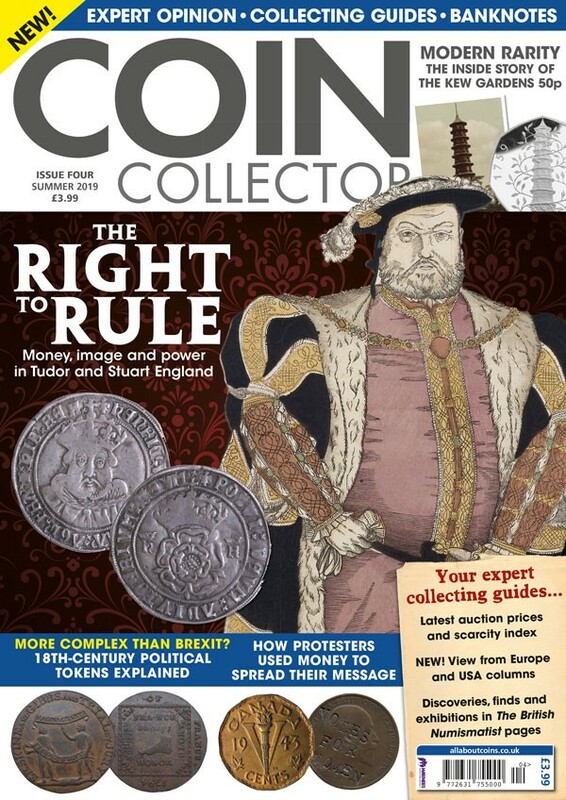 The fourth issue of the increasingly popular Coin Collector magazine features an insightful look into the use of coins during the times of the Tudor and Stewart monarchs. Written by the Fitzwilliam Museum’s Richard Kelleher, the in-depth article assesses 'Money, Image and Power in Tudor and Stuart England’ revealing how the nation’s coins were vital to the stability and influence of the monarchy. Sticking with British coins, we also continue our comprehensive guide to sovereigns and how to collect them, and provide an introduction to Viking coins, which are surely some of the most dramatic and desirable pieces to be found on our shores. Our banknotes section takes a look at collecting English paper money and reveals France's beautiful and intriguing ‘Assignat’ notes, which were issued to address the bankruptcy caused by the French Revolution. Meanwhile, we conclude our examination of the colonial coins of Africa, and provide a guide to collecting the Kew Gardens 50p coin, which has been reissued this year and continues to attract great attention from change checkers. In the popular The British Numismatist pages, dedicated to museums, exhibitions and the academic study of coins, we provide a review of the Harrogate Coin Fair, which played host to a number of lectures; whilst we also bring you the latest numismatic research and thinking. With another engaging, enlightening article on tokens, the latest auction prices, a new scarcity index of modern coins, interviews, new issue listings, and a brand new column on Europe’s coin scene, the fourth issue of Coin Collector is another must-read for anyone with an interest in this fascinating hobby!